Nearly everyone wants to travel at some point. Whether you’re the type of person who likes to take impromptu journeys across the countryside or go on a yearly vacation with your family, having the right vehicle for the trip is important. A quality recreational vehicle provides travelers with the space and amenities they need to enjoy their trip. 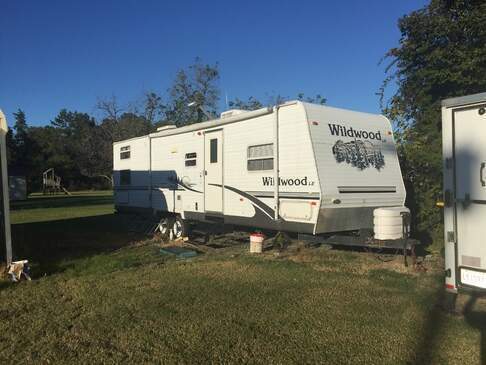 Campanda makes it easy to get an RV rental in Shreveport. With a broad selection of choices and a commitment to excellent customer service, our organization has become a trusted resource for those who want to enhance their expedition in a manner compatible with their needs and budget. Why Rent a Campervan? It Can Improve Your Trip! Anyone who has ever traveled knows that preparing for the trip is an important part of the process. Even if you’re traveling solo, it’s important to make sure you have enough space for your luggage and other supplies. This becomes even more complicated if you’re bringing along family or friends. Standard vehicles usually lack the space needed for cargo-heavy trips, and they can also be a bit too cramped for longer journeys. Getting an RV rental in Shreveport can make any trip easier and more enjoyable. But with so many organizations offering this type of service to travelers, many may wonder which company provides a superior experience. Why Choose Campanda? We Are Committed to Great Service! Our organization has become a well-known name in the RV rental industry. We have amassed a selection of over 25,000 RVs for rent and function as a trusted travel resource for individuals across the country. But our versatile inventory isn’t all we provide – we understand that planning a trip can be difficult. We work to make the process easier for you by providing high-quality customer support. Our team of seasoned professionals are proficient with the travel industry, and can help you coordinate the right fit for your travel needs – and your finances! Class A: Class A models are large enough to transport entire families in a comfortable manner. These models also have high-end luxuries including cooking and laundry facilities, as well as entertainment options. Class C and B: Similar to Class A models, these RVs provide both space and luxuries. While they lack the dimensions and amenities of their Class A counterparts, they also typically come with a lower price tag. Vans: Many people may find themselves wishing they had a van when it comes time to take a trip. 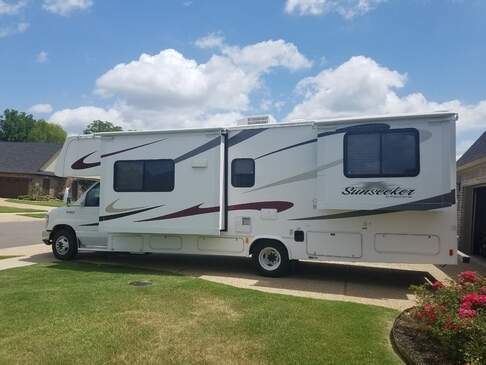 In addition to providing RV rental in Shreveport, we also have a selection of vans that travelers can choose from to accommodate their group and/or cargo. Trailers: Certain types of outdoor activities are much easier to enjoy on a regular basis if one has a mobile living space designed to function on all types of terrain. Trailers can be great for these types of needs, and they offer many of the comforts of home. Our website provides an in-depth guide to the types of RVs we offer. Travelers can search based on a number of criteria including their preferred type, brand, features, and price range. Cost is an important factor to consider, and we are dedicated to making sure that renters get the lowest price for their RV rental in Shreveport. The Lowest Price Around – Guaranteed! Traveling can be expensive, which is why many people plan their trip ahead of time in accordance with a specific budget. Saving money on preparation for the trip means that you can dedicate more funds to other aspects of your trip, such as enjoying the sites and amenities located at your destination. In addition to offering impressive rates, we are committed to making sure that renters don’t overpay. The locations and conditions must be the same. The make and model of the vehicles must be the same. The offers must be advertised on the same day. We want to provide the most affordable prices for an RV rental in Shreveport. Part of having an enjoyable trip is making sure that the vehicle you book is compatible with your preferred price range. But while everyone appreciates a good rate, a seamless experience is also important. This is why we strive to provide top-notch customer support. Preparing for a trip is a very complex process. You have a number of things to focus on, including booking your destination, scheduling time off from work, and packing all your supplies. No one wants to struggle through the process of booking an RV, and our dedicated customer support staff is here to help you with this important part of the travel experience. Campanda is a leading name in the travel industry, and our team is dedicated to lending their industry expertise to you. Our courteous experts can provide friendly insight on RV types, features, and prices. They can also help you coordinate the booking process so your experience in Shreveport is a convenient one. Even if you are taking a solo journey, you’ll never be alone when you work with Campanda. We are committed to providing the easiest and quickest experience around. Don’t wait! Contact Campanda today to get a high-quality RV rental in Shreveport. Between our impressive inventory and dedicated team of courteous professionals, you’re sure to improve your trip by working with us! Can't find what you're looking for? Take a look at nearby destinations like New Orleans or Dallas.